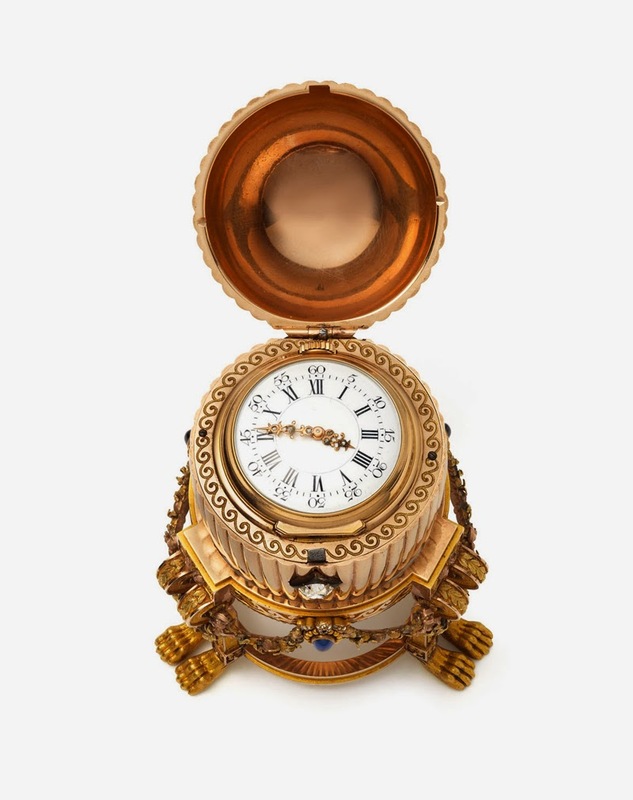 The ones of you who have followed my blog for a long time, know that I started these Fabergé Friday posts by going through all the Imperial Easter Eggs Fabergé created for Russias Tsar family. Of the fifty Easter eggs Fabergé created for the Imperial Family, eight of these are sadly lost though... Well, until recently at least. Now only seven remain hidden from the world, as one of these treasures has finally been found! Here it is! It was created by workmaster August Holmström, sometime between 1886 and 1887! 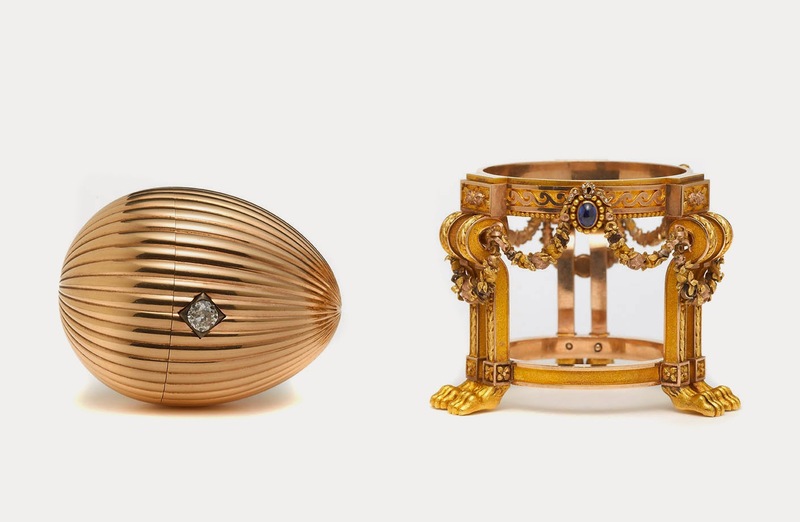 The egg is made of ridged gold, and stands on a tripod pedestal with lion paw feet. The pedestal is decorated with flower swags in colored gold, hanging from cabochon blue sapphires. A big diamond push-piece is also attached to the egg. 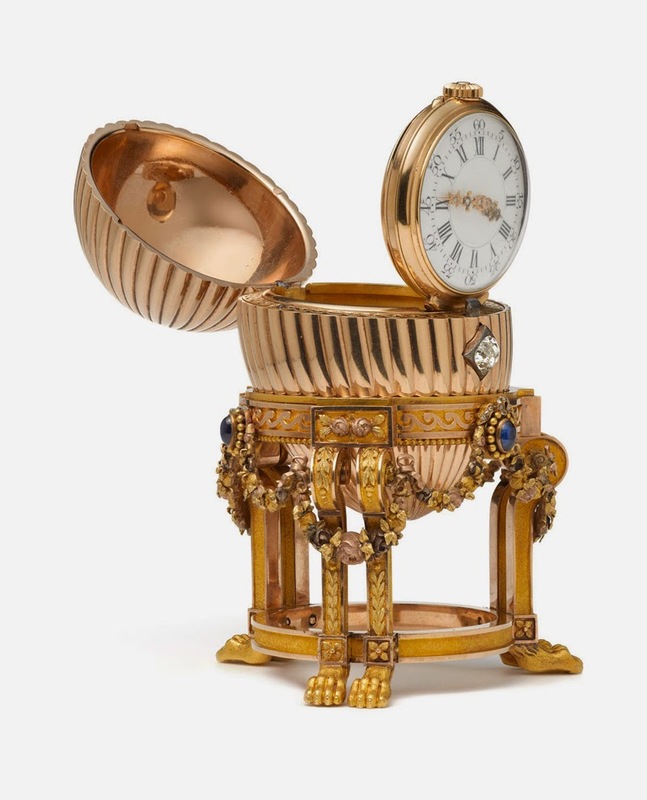 All of these Imperial Easter Eggs contained a little surprise, and the surprise in this egg is a lady's watch by Vacheron Constantin. It has a white enamel dial and openwork diamond set gold hands. The watch has a hinged stand inside the egg, permitting it to stand up. An American scrap-dealer from the Midwest found the egg at a shop and bought it for 14,000 USD, thinking he could make a profit by selling the gold and the jewels on it. 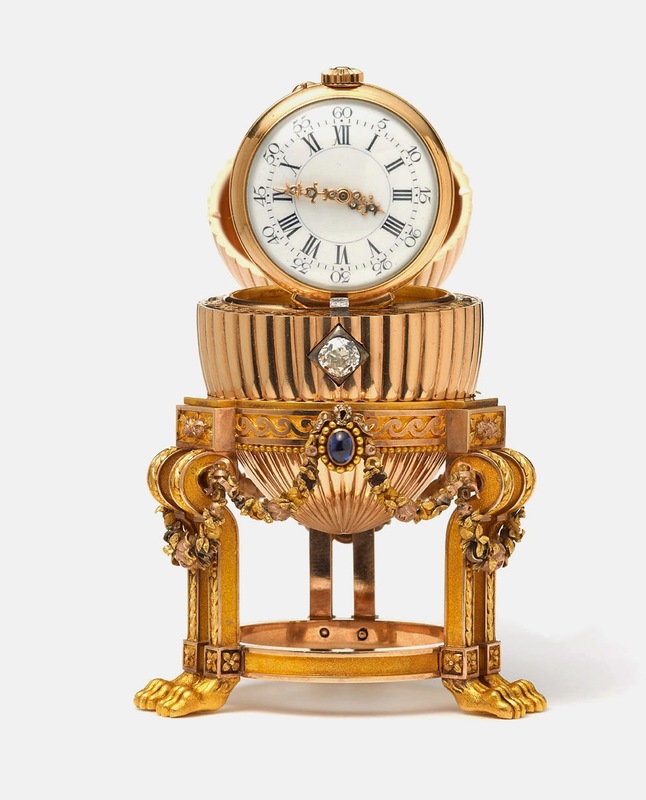 After finding the clock inside the egg, he googled the name of the clock maker, and so stumbled on the story about the missing Fabergé egg, described as the one he now had in his possession. 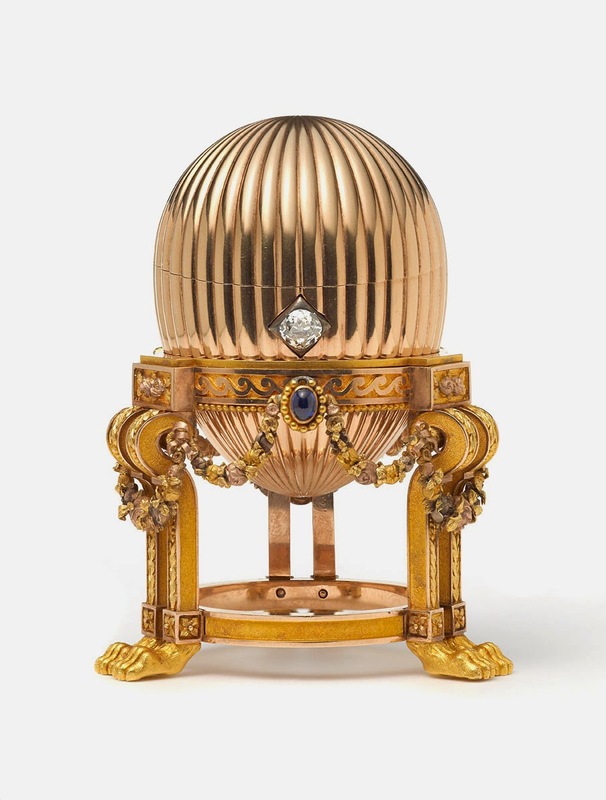 He then contacted antiques expert and Fabergé specialist Kieran McCarthy, who immediately recognized the egg, and flew from Great Britain to the US to verify the authenticity of the egg. The egg turned out to be the real deal, and McCarthy said this find was like when Indiana Jones discovered the Lost Ark. He also valued the egg to 33 million USD - which of course made the profit for the scrap-dealer a "little" bit bigger than he first had counted on... It was sold to a private buyer through Wartski, the antiques firm specializing in Russian artwork that McCarthy works for.